With Valentine's Day right around the corner now's the perfect time to get your shopping done for all those classroom parties, clubs, and other groups. This year my daughter wanted to make fun goodie bags for all of her gal pals in her Girl Scouts Troop. They are a tight knit group of girls that like to just hang out and have fun so we decided to do the goodie bags Emoji Style! Emojis seem to be one of those fads that just keeps hanging on, and getting bigger really. I've seen emoji pretty much everything. And all the kids seem to love them so why not give them all a super cute goodie bag with lots of emoji faces all over it. 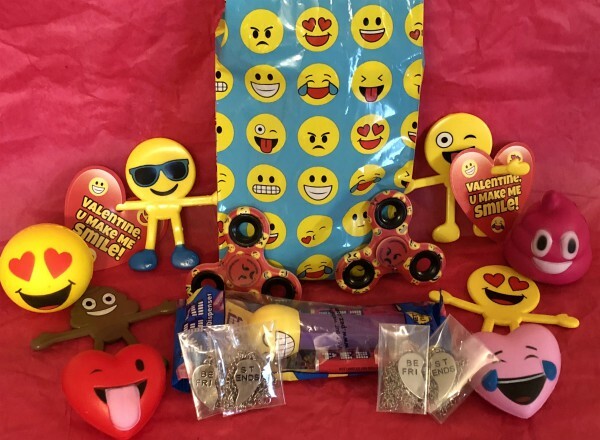 Of course what good is an emoji goodie bag if it's not packed full of emoji surprises inside. 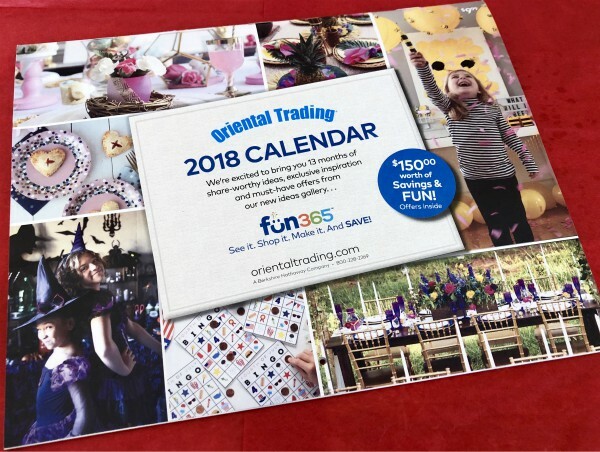 While browsing the Valentine's Day section on the Oriental Trading website we came across a ton of different emoji themed ideas. We found everything from stress emojis to bendable emoji people to emoji PEZ Dispensers. Plenty of great ideas to make their goodie bags good and full. To finish off the bags we got all of the girls a set of Best Friends heart necklaces. I still have my half of a best friends necklace from when I was in school because it was something that really meant alot to me when my best friend gave it to me. And even though they are all really good friends each girl has that one friend she calls her "best friend" and what better gift to give that special friend than half your heart on Valentine's Day. We thought it would be a neat way for all the girls to have something alike - plus something to share with another girl. I mean that's what Girl Scouts is all about - sharing and making friends! I of course knew when Valentine's Day is, but did you know there are hundreds of other national days to celebrate every year? Thanks to my handy Oriental Trading Calendar I won't be missing any of those important (or fun) holidays this year either!